A large part of the look of welt pockets is their crispness. They are not floppy, soft pockets with ambiguous corners, and a light fusible interfacing helps prevent all that happening. Many garments that featured welt pockets are also nicely-tailored pieces, often made of a robust apparel fabric, and almost always fully lined. So you never see the interfacing, but it's there. The interfacing is applied to the pocket opening so that it keeps its shape and the corners turn out nicely.I don't often make welt pockets in children's clothes because I don't want to line them just to hide the interfacing. So I choose a sturdy fabric, like twill, and don't interface it (eek). 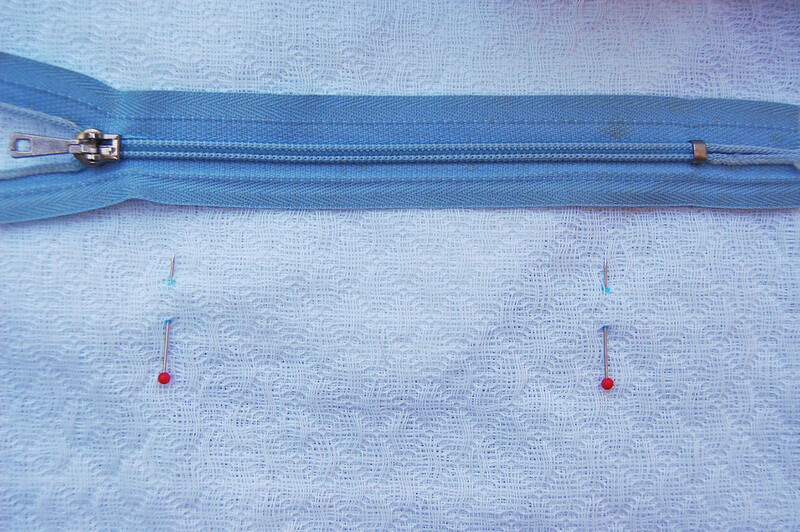 So yes, it works, but it is not *my preferred treatment of welt pockets. 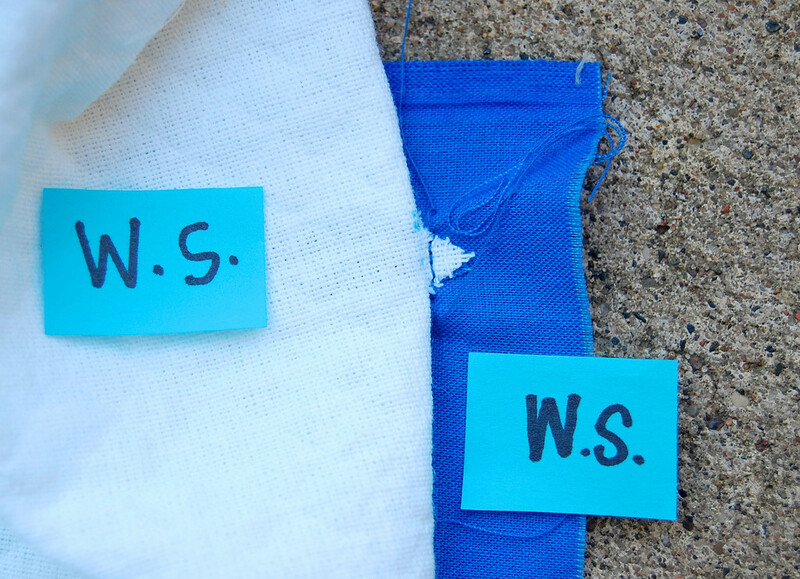 To make a basic welt pocket, you'll need the main garment fabric and two identical-size pieces of fabric for the facing and lining. And interfacing, of course. Fuse it to the wrong side of the pocket opening. 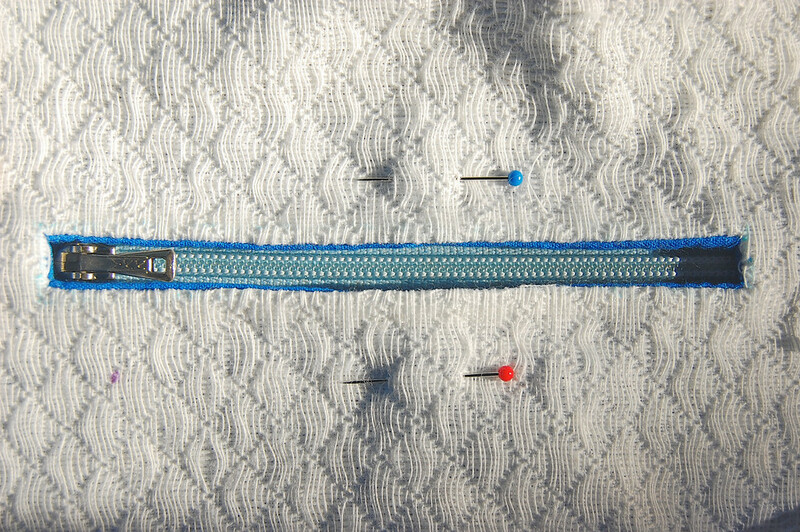 I am omitting the interfacing in this (and all following welt pocket tutorials) just because you can't see it against the white main fabric anyway. 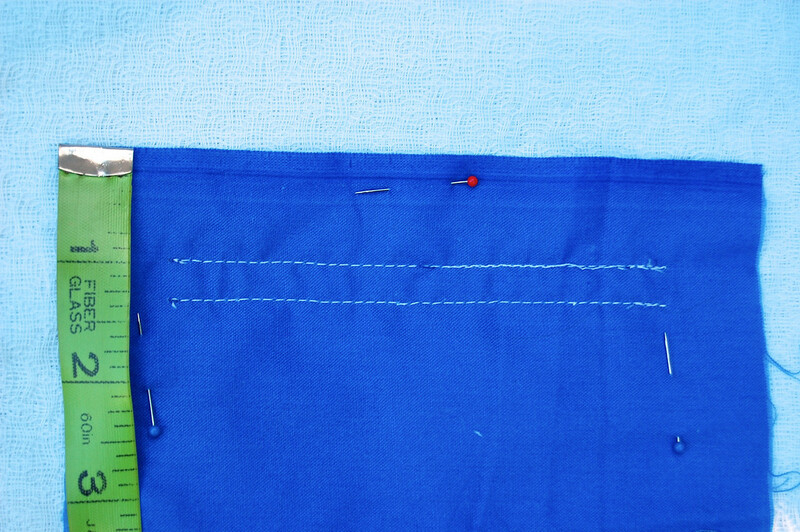 Mark out the position of the welt pocket opening (i.e. 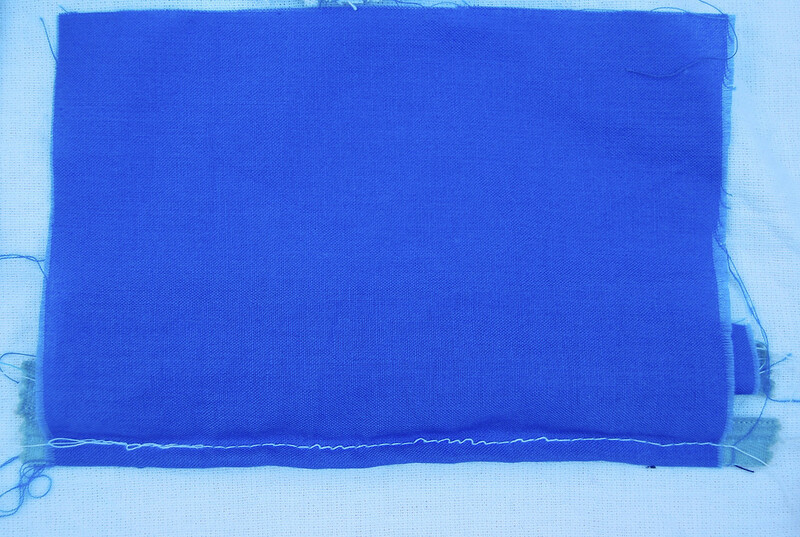 the rectangular welt) on the right side of the garment fabric. 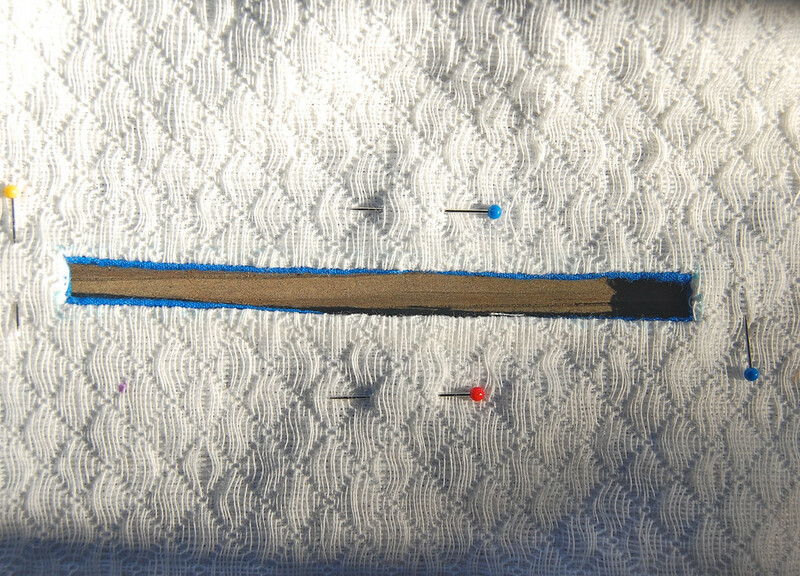 In the picture below, only the corners of the welt opening are marked, and pins put through them as shown. 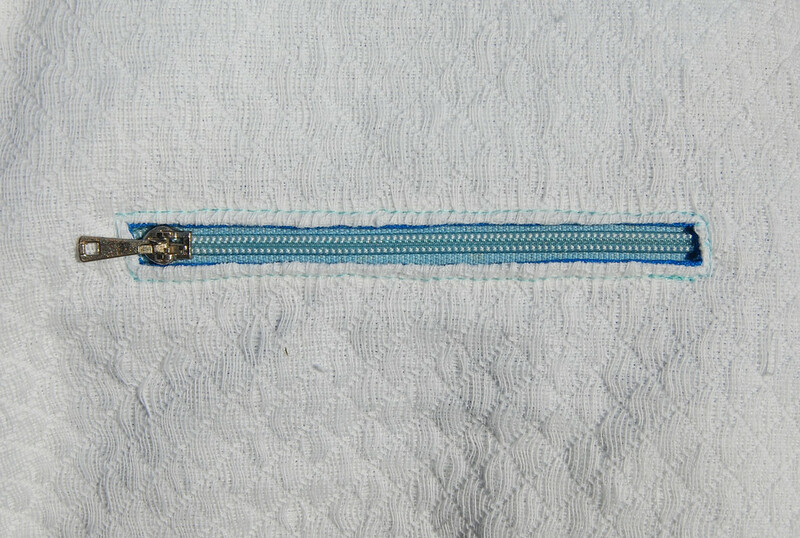 Since this will be a zippered welt pocket, the zipper is shown for reference - the welt opening is shorter than the length of the zipper and a little wider than the width of the coils. 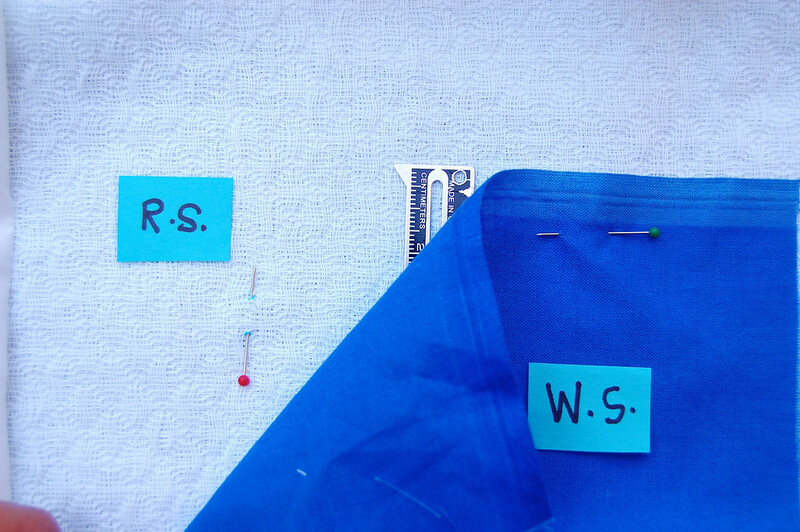 Flip the garment fabric over to the wrong side and draw the complete welt opening using the pins as guides. 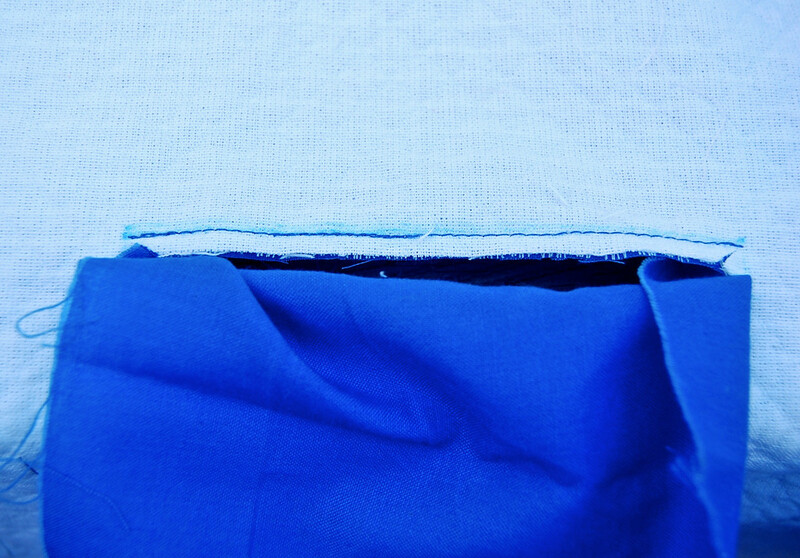 Flip back to the right side of the garment fabric, and position the facing piece (dark blue) over the opening. Center it sideways, and have its top edge about 1" above the upper edge of the welt opening. Pin in place. 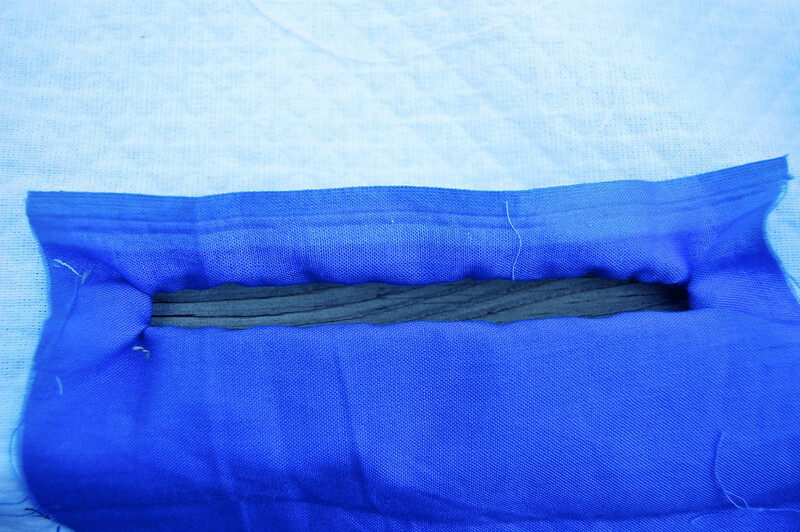 Cut through both layers of fabric, along the midline between both stitching lines, as shown. At the ends, make diagonal cuts towards the corners. so that it looks like this. Press the seams open so that the opening is a crisp rectangular slit. 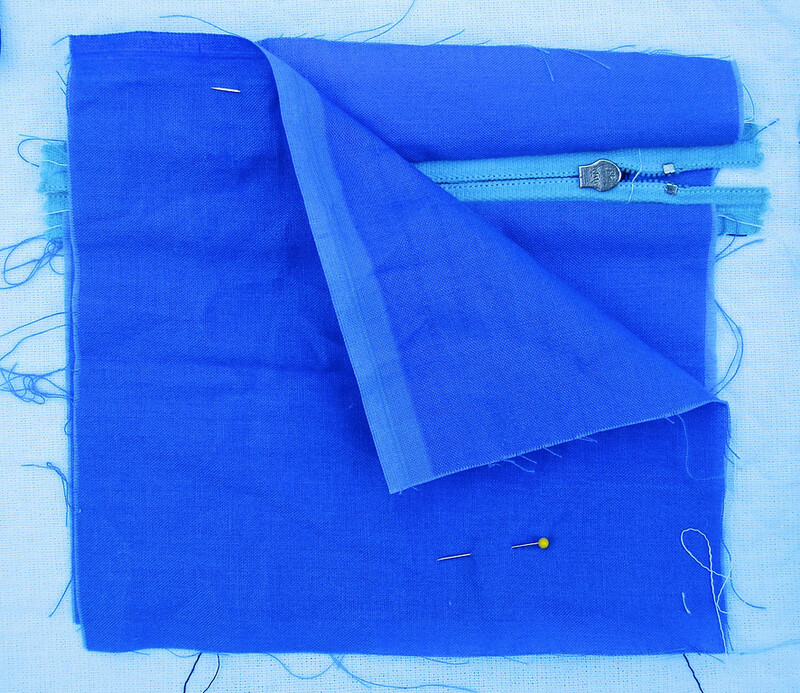 With the right side of the garment facing up, fold back the garment fabric at the side of the pocket opening to expose the little triangular seam allowance. Sew it down onto the facing as shown. 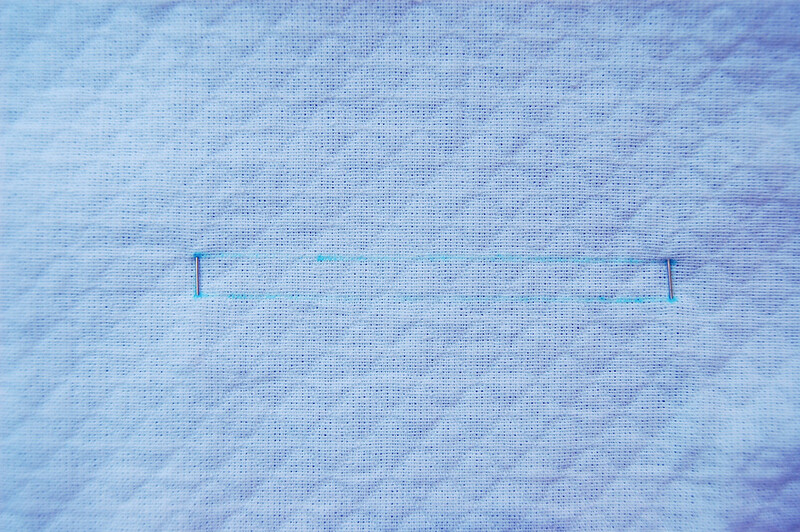 The short edge of the welt opening that you drew in Step 2 will serve as a stitching line. I used my zipper foot to get really close to the line. Repeat for the other side. This is what the wrong side of the opening looks like with the sides stitched down. Ta da! This is the basic welt opening, before pressing. Here's the nice welt opening, now pressed, on the right side of the garment, with the zipper shown for reference again. 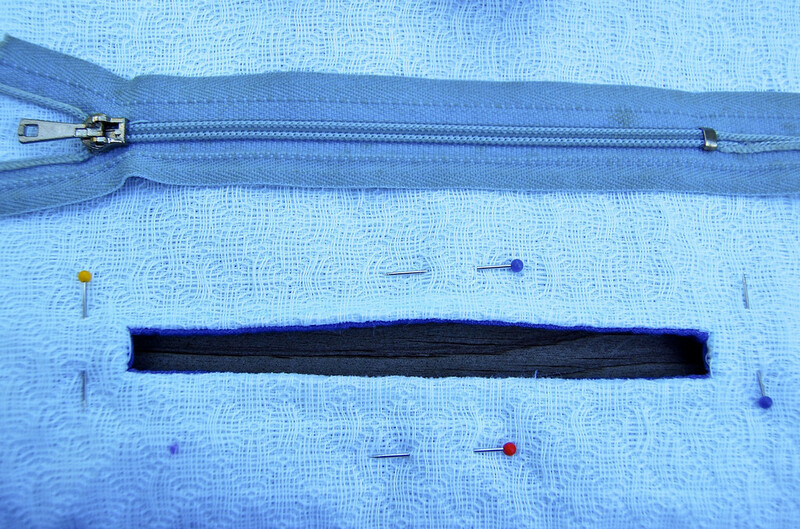 Position the zipper behind the opening. Pin or baste in place. 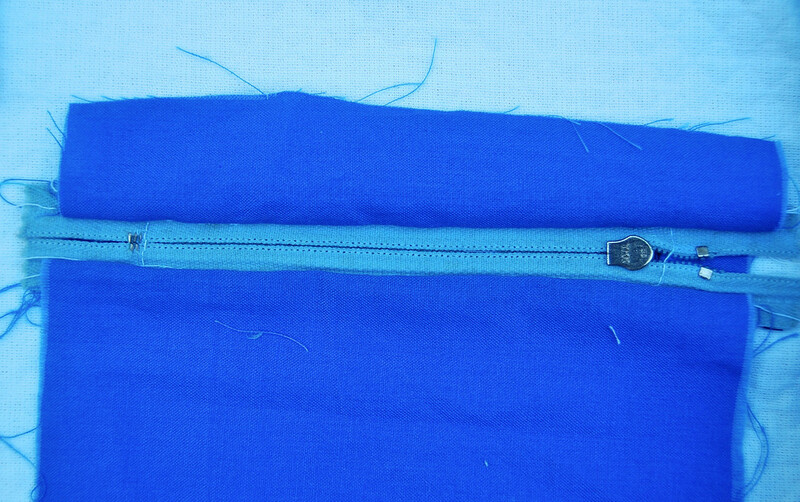 Top-stitch all around the opening to secure the zipper in place. 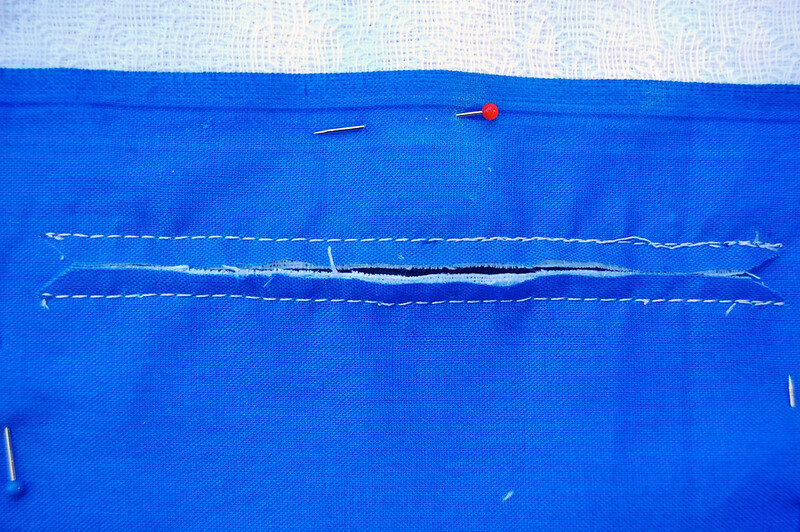 Voila - a zippered welt pocket opening. All that remains is to back the whole thing with the pocket lining and sew that to the facing, all around their four sides, to get the pocket pouch. The End. 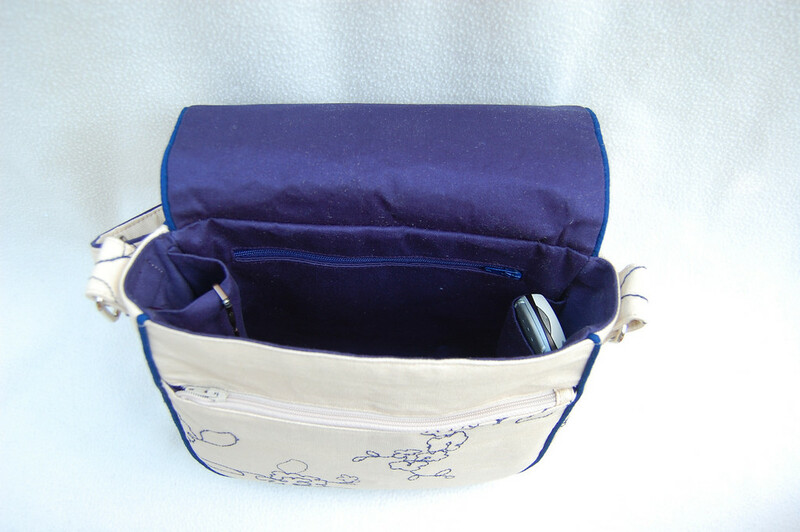 However, if you are the sort that dislikes the exposed zipper tape, you can continue to the next -and very optional- steps before sewing up the pouch. 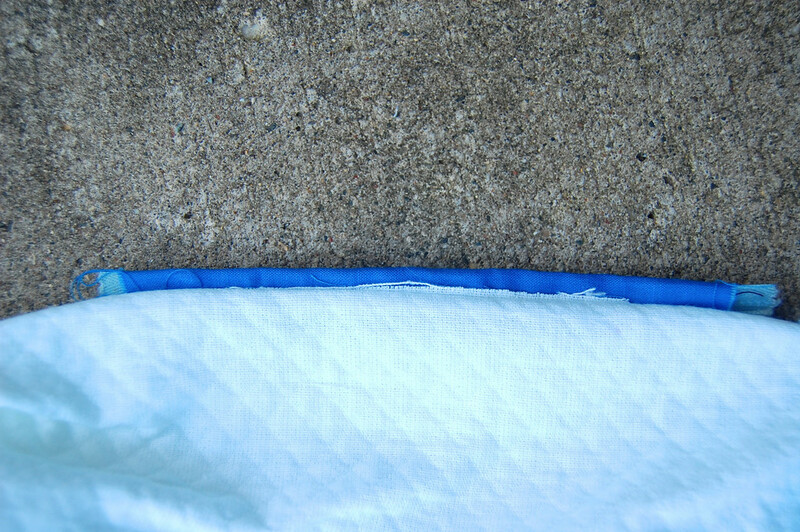 Fold up the facing snugly over the bottom edge of the zipper. 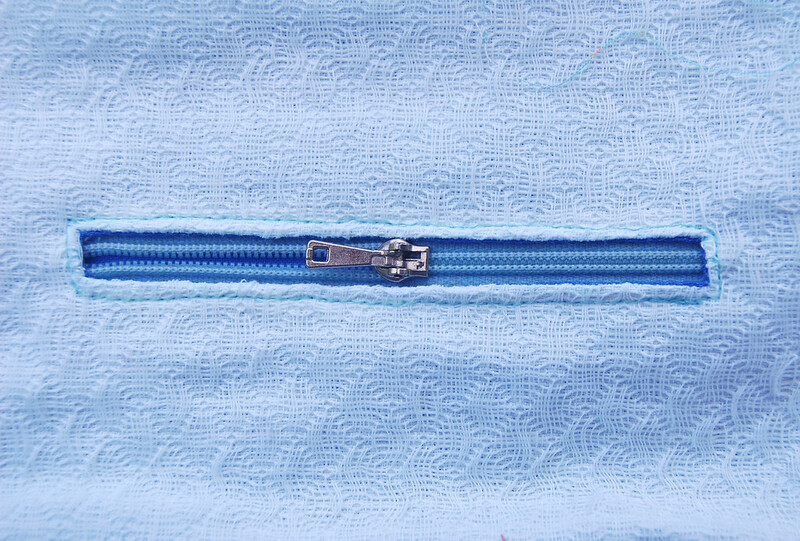 Repeat for the upper edge of the zipper. Unfold the facing piece. The zipper tape is now hidden. Obsessive, but, as I said, completely optional. 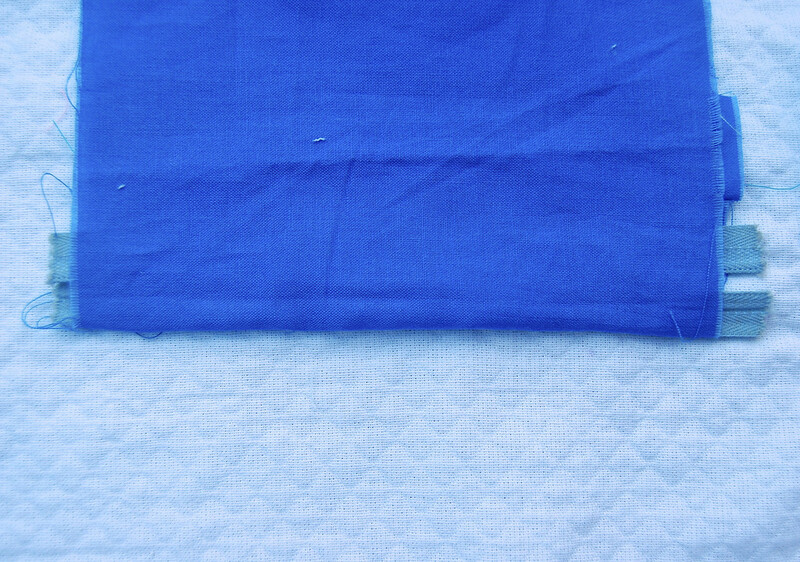 and sew around all four sides of just the facing-and-lining double layer. You'll have to fold back the main garment fabric out of the way. Notice that while the opening was a perfect rectangle before adding the zipper, I skewed the corners while sewing the zipper without basting. Learn from my tragedies - baste, baste, baste. 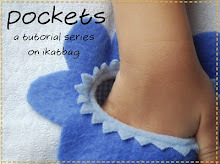 *Updated 10 Aug 2012: Finally wrote the post on how to do this pocket the proper way. See it here. Next up: the classic single bound welt pocket. I love that extra step to hide e zipper tape! I will have to do that next time. 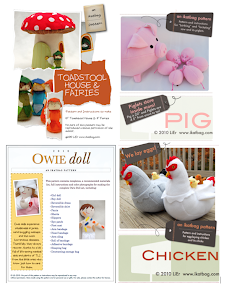 Thank you so much for all your pockets tutorials!! 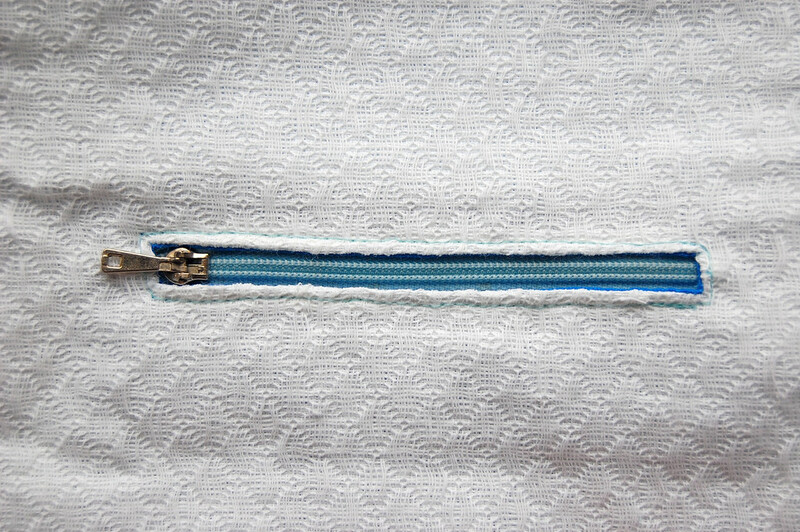 thank you so much for this - I used this tutorial to insert a couple of these pockets into a bag I just made (http://tigergirladventures.blogspot.com/2012/06/palin-bag-is-finished-at-last.html) - I gave a link to this tutorial, hope that's ok.
Thats for this tutorial - it has been about 20 years since I've done a zipper, and I forgot these steps. 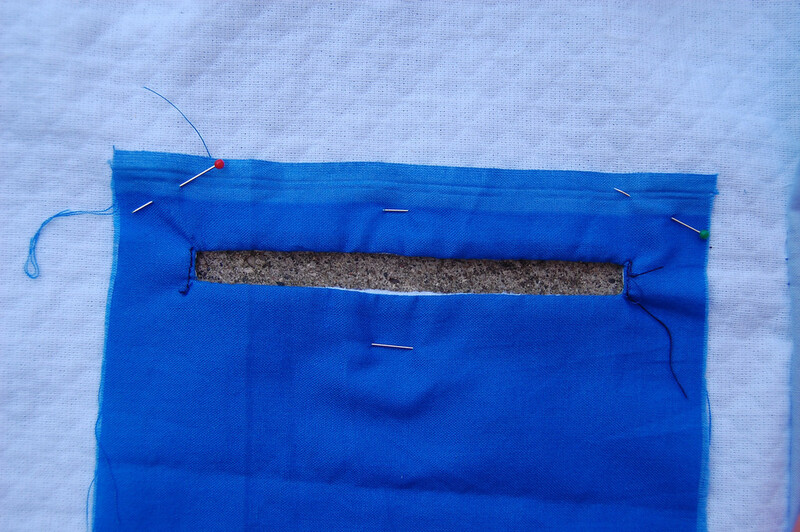 Now as soon as I mark where the zipper is, and "unbaste" the pocket, I can restart and do it property!